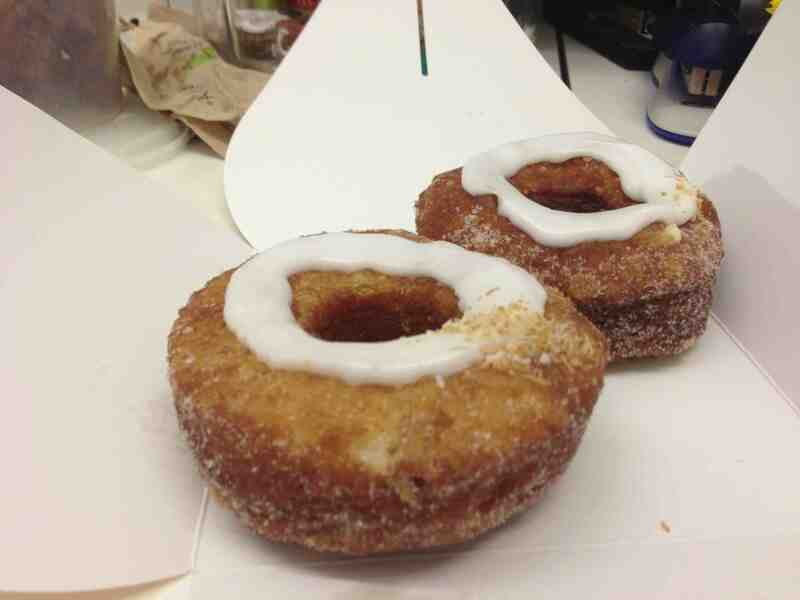 MDP got up at 5 am to get me these cronuts. My birthday is Sunday and he’d thought it would be a nice treat for me to have on my “work” birthday, which is today. What can one say about such a unique pastry? Its crisp doughnut-like exterior is rolled in granulated sugar for a sweet bite. And its croissant interior is smooth and silky, perfectly blending with the cream that bursts as you chew. The flavor I was served was coconut. It was faint enough to be unobtrusive, while still supplying the full-bodied taste of a real coconut. 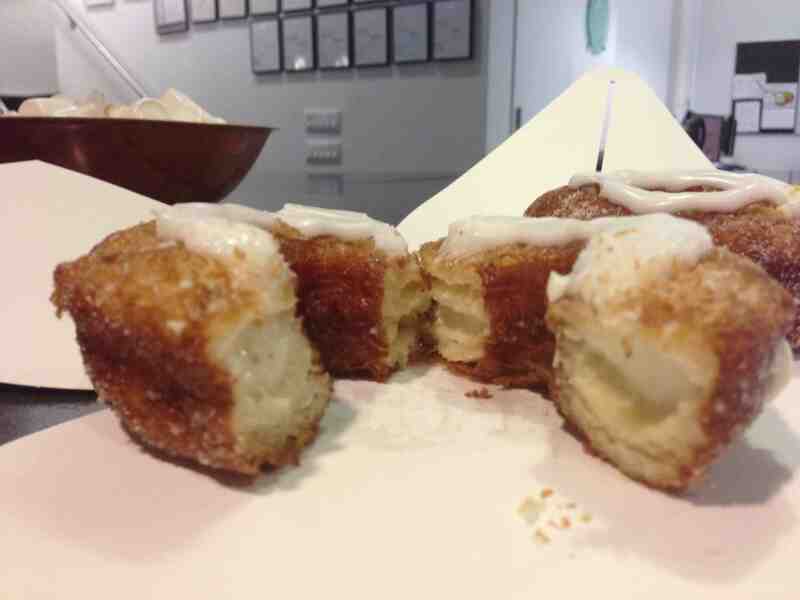 The cronut is by far the best pastry I’ve ever had. You should get one. Or find someone who loves you enough to wake up at 5 and make their way down to SoHo to Dominique Ansel’s quaint bakery. I’m a lucky girl!